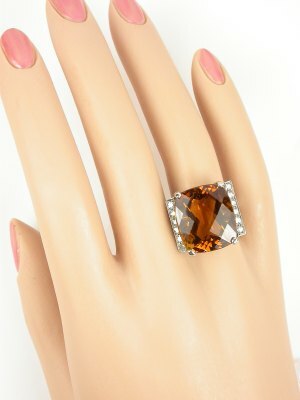 Classic vintage rings like this one make an elegant right hand ring or a stunning engagement ring. 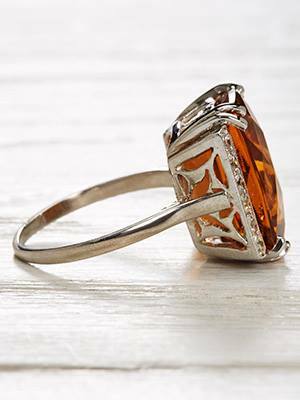 The platinum band of this vintage ring is hand-wrought. 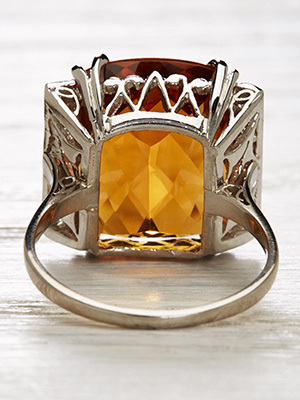 The raised, open-weave mounting encases twelve round single cut diamonds. 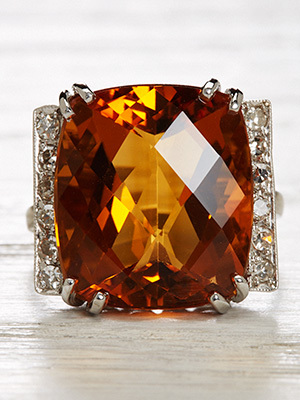 A showstopper cushion faceted mixed cut citrine serves as the piece de resistance. 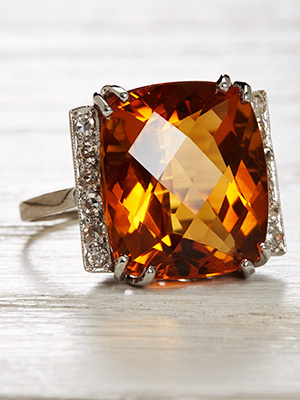 The total gemstone weight of this vintage ring is 17.58 carats. From the Topazery Earth Collection. Circa 2006.